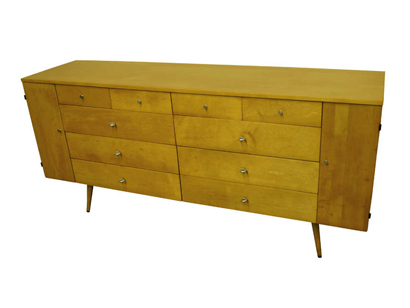 This exceptional piece by Paul McCobb for the Planner Group (Model 1510) boasts an incredible 20 drawers, 10 of which are concealed behind doors on either side. 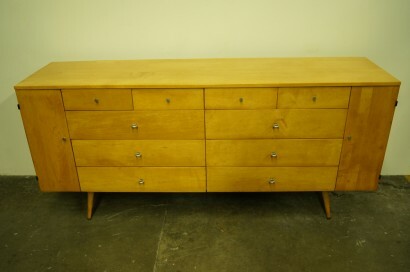 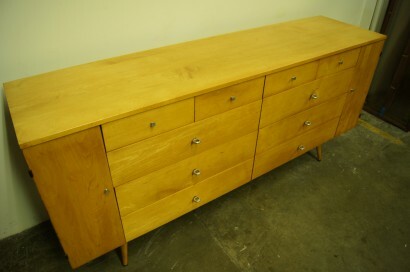 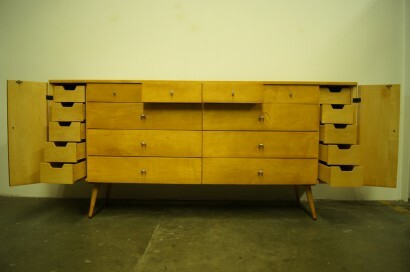 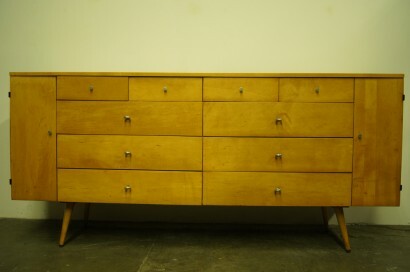 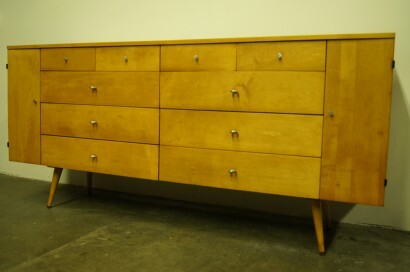 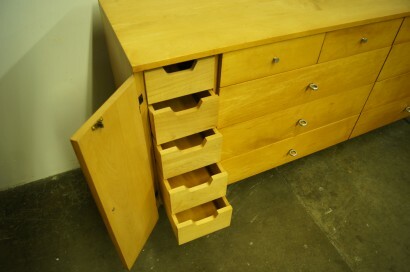 With classic McCobb tapered legs and round aluminum pulls (top drawers have small aluminum knobs). 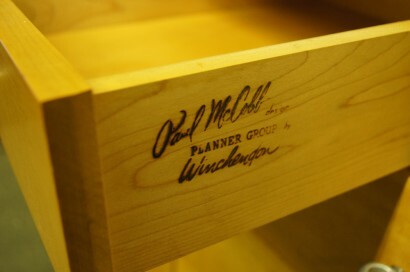 Marked on the side of one of the top drawers.